Cost: FREE, no tickets required. Bring your family and friends to hear some of the season’s most wonderful music. You’ll hear something traditional, something meaningful and something fun! This is a concert event the whole family will enjoy. Concerts are always FREE, so come ready to hear the Kansas City Civic Orchestra perform your favorite SOUNDS OF THE SEASON! A native of St. Louis, Christopher Kelts is ready to begin his second season as music director/conductor of the Kansas City Civic Orchestra. He also conducts the Eastern Jackson County Youth Orchestra, and has guest conducted with the Chamber Orchestra of the Ozarks and the Atchison Symphony Orchestra. Mr. Kelts is also the former assistant conductor of the Kansas City Ballet. For the past seven years, Christopher Kelts has served as faculty and conductor for Missouri State University’s Summer String Institute. 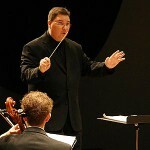 Mr. Kelts is currently faculty for the Stringedo String Insitute through the Conservatory’s Academy of Music & Dance. Some people play music for a livelihood, some for a hobby. The members of the Kansas City Civic Orchestra play out of sheer passion for classical music. The orchestra played recently in Yardley Hall, at the Carlsen Center of Johnson County Community College, in a program featuring music by Giacomo Puccini, Max Bruch and Johannes Brahms. 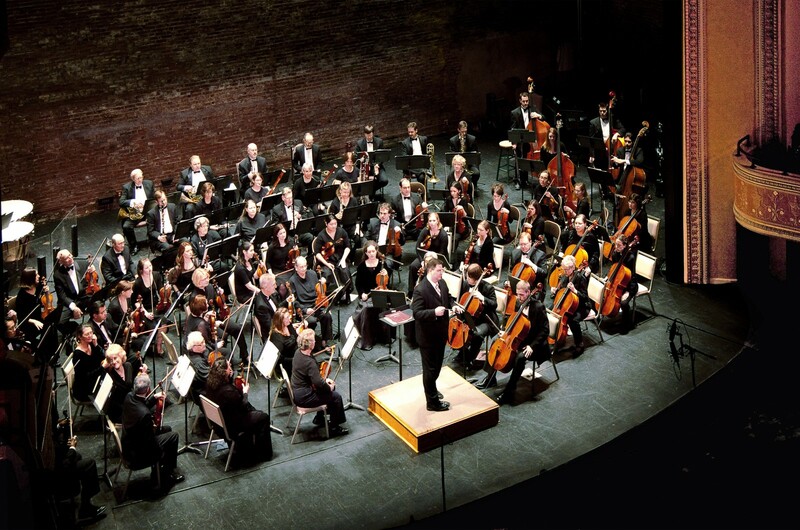 Founded in 1959, the Kansas City Civic Orchestra draws its membership from the entire Kansas City metropolitan area. While some performers are music teachers, most work in a variety of other fields, from insurance agent to TV weatherman. The concert opened with the “Preludio Sinfonico” by Giacomo Puccini, a relatively unknown but lovely piece by the famous Italian opera composer. Many of Puccini’s signature traits were noticeable, especially the poignant and long-breathed romantic melodies. Tiberius Klausner joined the orchestra for the “Violin Concerto No. 1 in G Minor” by German romantic composer Max Bruch. Klausner, a Johnson County resident, was the longtime concertmaster of the Kansas City Symphony Orchestra and professor emeritus at the UMKC Conservatory of Music. Klausner performed with elegance and a highly attractive tone. The concerto’s central slow movement was particularly sensitive and lyrical, and the orchestra, under the direction of Andy Anderson, responded well to Klausner’s songlike approach. The popular finale was dancelike and effervescent. Klausner managed the multiple stop passages deftly, and the orchestra, despite some tuning inconsistencies, performed admirably. The final work on the program was Johannes Brahms’ “Symphony No. 2 in D Major.” The orchestra played the attractive opening movement with a sense of urgency and drama. Energetic playing and contrasting dynamics and tempos kept the third movement appealing.